Over the years, I have collected a number of incredible cookbooks that were published by military spouses. Quite often a squadron or other military organization would put together a collection of “Tried and True” recipes, publish them and use it as a fund raiser for their group. This was a great way to raise money, but also solved the problem of getting those recipes we were always promising to share after one of our many events that involved great food. A dear friend gave me this cookbook that her fellow military spouses put together at one of her assignments. 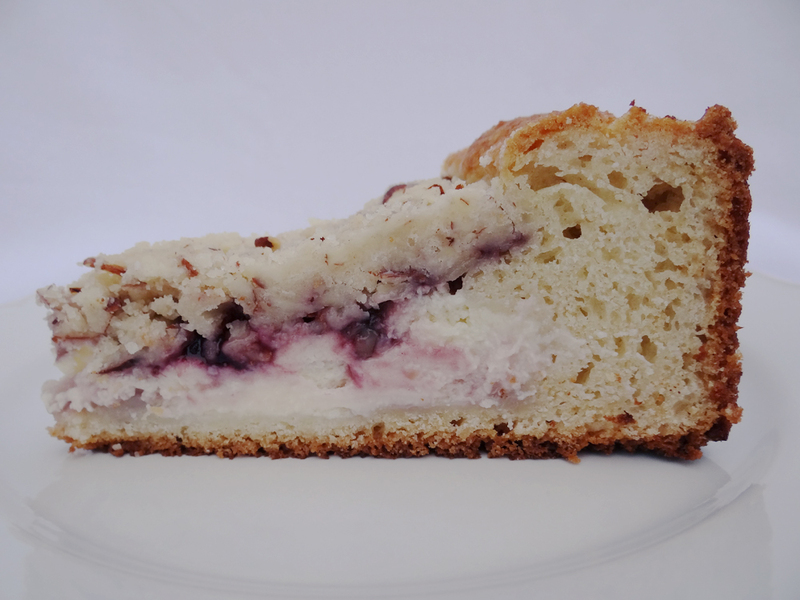 In it I found this recipe for Raspberry Cream Cheese Coffeecake. It seemed like a recipe that was too difficult to make, but after baking it once, it has become one of MY “Tried and True” recipes. Many times people have commented that it looks like it came from a bakery. Now, I have passed it along to several of my military and non-military friends. Grease and flour or spray with baking spray, the bottom and sides of a 10 inch spring-form pan. To remaining mixture, add baking powder, baking soda, and salt. Mix until combined. Add in sour cream, 1 egg, and almond extract. Mix until well blended, about a minute. Spread batter over bottom and 2 inches up the sides of the spring-form pan. Batter should be about ¼ inch thick on sides of pan. In a small bowl, combine cream cheese, ¼ cup sugar and 1 egg; blend well. Pour over batter in pan. Carefully spoon preserves evenly over the cream cheese filling. (I place the jam in a bowl first and stir with a spoon to make it a smoother and easier to spread on the cake). 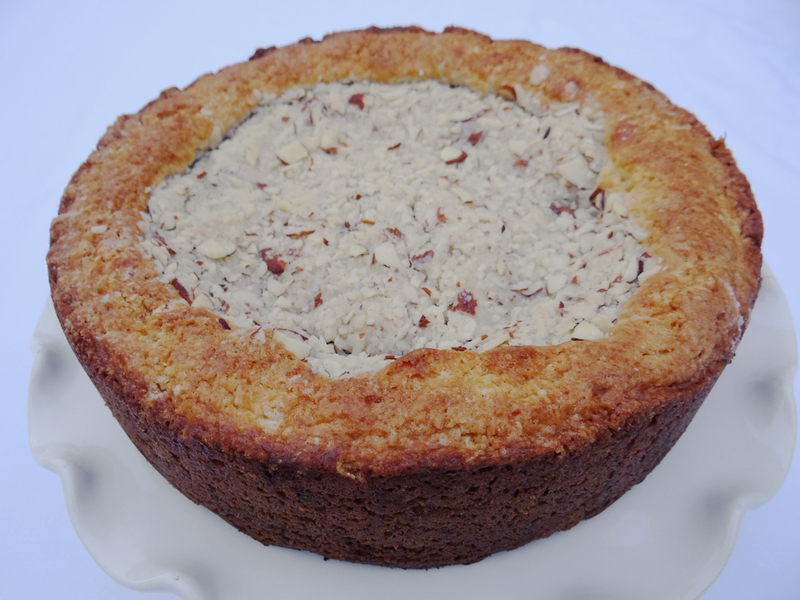 In a small bowl, combine the 1 cup of reserved crumb mixture and chopped almonds. Sprinkle over the jam. Bake at 350 degrees for 45 to 55 minutes or until cream cheese filling is set and crust is deep golden brown. Cool 15 minutes. Remove from pan. Serve warm or cool. Refrigerate leftovers.